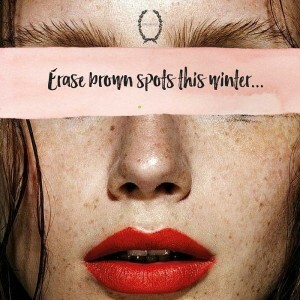 Melbourne Photorejuventaion to Erase Brown Spots and Pigmentation this winter! Do you have sun damage on your decolletage area caused from loving the sun a little too much in your earlier years? Or some darker spots on your face from not wearing daily sun protection…? You may have seen this happen over time, or have been surprised by the dark spots that appeared after the last summer… Either way #beautyologist have the perfect winter treatment to turn back the clock and bring back an overall whiter and brighter complexion for your skin,. Facial rejuvenation has never been this easy! Sun damage, fine lines, scarring from spots, rosacea, acne and dark spots can all be a thing of the past with this revolutionary technology! It’s performed by one of our Registered Nurses assuring your safety and comfort. The Photorejuvenation process uses pulsed light to treat pigmented and vascular lesions for overall improvement of skin tone. Pulsed light systems are similar to lasers but with a larger beam for wider coverage and faster, more comfortable treatments.